Leslie began her career in 2003 focusing primarily on real estate development, acquisitions and dispositions, and investment management. Working in the Madison, WI market, she developed a strong background before starting PSG with her father, Peter, in 2009. Over the years, Leslie has gained experience in office, retail, industrial, multifamily and condominium, hospitality, and mixed-use projects. She has an extensive background in feasibility analysis, debt and equity origination, project management, and asset management. She is experienced in various creative financing tools, grants, tax credit programs, tax incremental financing (TIF), and IRC 1031Tax Deferred Exchange. Leslie brings great value to our clients in her strong desire and ability to understand their business’ needs and priorities and align their services to meet them. Her background in feasibility analysis is incredibly helpful to clients as she works through decision points with them, providing detailed information and recommendations. She is highly professional in managing relationships with community leaders and governing entities to obtain project support. 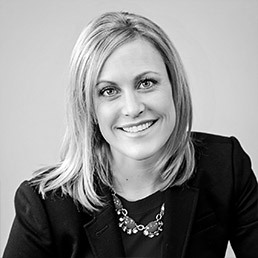 Whether she is in the position of providing consulting services, managing a construction project, or serving as landlord and developing solutions for a tenant, Leslie utilizes her expertise to operate on behalf of the client to bring the project to successful completion.